Kitsap County in Washington State is not an especially large community. 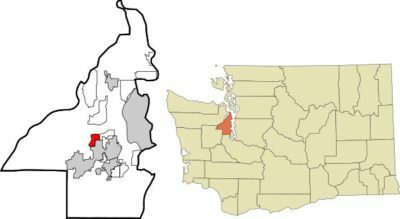 Most of the cities are small Bremerton, is the largest with 38,000 approximate population. Bainbridge Island, Silverdale, are both in the 20,000 range, and Port Orchard and Poulsbo are around 13,000 and 10,000. In terms of SEO, there are a few services that get Googled by County and not by City. Primarily they are looking for County government, jail rosters are always popular, jobs, real estate, craigslist, and the Kitsap Sun newspaper. Bremerton & Bainbridge both get huge searches related to the ferry crossing to Seattle. Bremerton has a cinema that serves beer that is very popular in rising searches. Bainbridge also gets a lot of searches for Airbnb and VRBO, obviously a popular place to stay for a weekend away from Seattle and check out some of the local restaurants. Silverdale is an unincorporated city, most the searches are related to shopping and dining destinations. It does not appear that many services are searched for specifically by county, although there is a significant amount of volume most searches are looking for county government or a specific brand. We are hoping to get Kitsap SEO searches here, but we don’t know if there is much, if any, search volume. We do have other localities mentioned here and we could expect to get search traffic from those terms also. If you are looking to get more relevant search traffic for your website you can start by scanning your business listings or signing up for one of our Local SEO Packages.